oh, sweet joy! 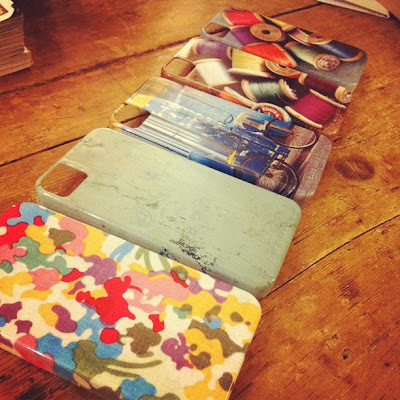 : iPhone cases! They finally came in and y'all, they are SO cool! There is a limited quantity and some of them are already spoken for, but if you'd like to order one ((I can ship it asap in hopes they arrive for Christmas!)) email me at ohsweetjoyATgmailDOTcom and I'll get you all hooked up. :: are not rubber, but a durable plastic. :: made for iPhone 4 and 4s. :: they are SO cute and so far, ONE of a kind. i wish i had an iphone! love these! 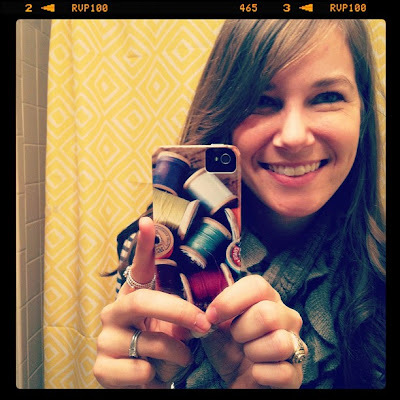 now i reallllly want an iPhone! so great, Kim :) love it! LOVE these! The spool one is my favorite, too! I just pinned it to show my sister. She's a quilting fanatic. wow! These are awesome!!! I really adore the spools of thread.